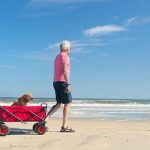 Sometimes we’re so centered on making certain that we have the proper lures, the smoothest reels, and the best pole, that we overlook having the important equipment that makes our tasks that much easier – fishing pliers. Every experienced angler would admit to finding the most important utility in a fishing plier. Owning the right fishing pliers is like owning a highly trained dog – both are highly functional, and you can be proud of them. 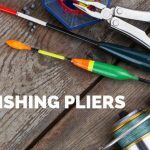 But how do we choose and use the best fishing pliers? Well, there are a lot of stuff to consider when it comes to that, and you will discuss them all here. We will also feature the top 5 best fishing pliers of 2017. Break out your fis﻿﻿hing gea﻿﻿r and parkas this season– the days of relaxing kayak fishing alone or your preferred fishing partner are over for winter. However, do not fret; the season of fly fishing will be back soon. Fortunately, this opens up numerous opportunities for one of our preferred fishing types – Ice fishing! While learning to fish on ice is an acquired experience that not all fishing enthusiasts will jump into, we think that there is loads of opportunity for fishing available out there. 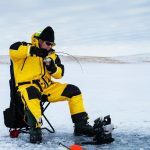 As with any form of summer, spring, or fall conditions, you want to guarantee you have the right gear type for your expedition such as ice fishing. Today, we discuss our preferred Augers in 2017. 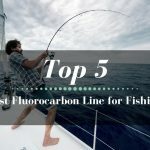 Fishing for fish that spook right away or fishing clear water is good for fishing lines made out of fluorocarbon. What we use is a braided line mostly, and we would not consider hooking up our bait to it since the fish will be scared away. What we do as an alternative is hook up a fluorocarbon line at least the length of a rod to the braid so we can then hook up our bait to the other side. 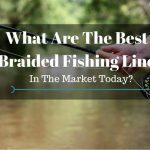 What Are The Best Braided Fishing Line In The Market Today? I see you want to upgrade your catch – are you tired of getting the small fries all the time? Well, the best braided fishing line can do that for you. Innovation in the area of fishing has made a leap in modern angling. And because your daily catch is getting stagnant, we’ll teach you how to upgrade your game!